Recent updates to Stylus Studio XML Editor have brought improved license management which we are highlighting in this month's scoop. These new features are particularly helpful for larger organizations with numerous workstations and developers utilizing Stylus Studio at the same time. If you missed last month's customer story, we encourage you to read the full article and learn more about the XML Pipeline Server data processing solutions that the Stylus Studio team has to offer. 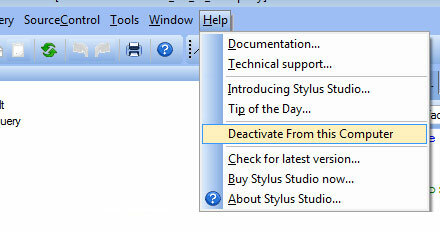 Need to move licenses from one machine to another or uninstall Stylus Studio in silent mode? Read about the new licensing management features in our latest blog post here.